Just Listed :: Amazing Newer Construction in Brookhaven! Welcome home! 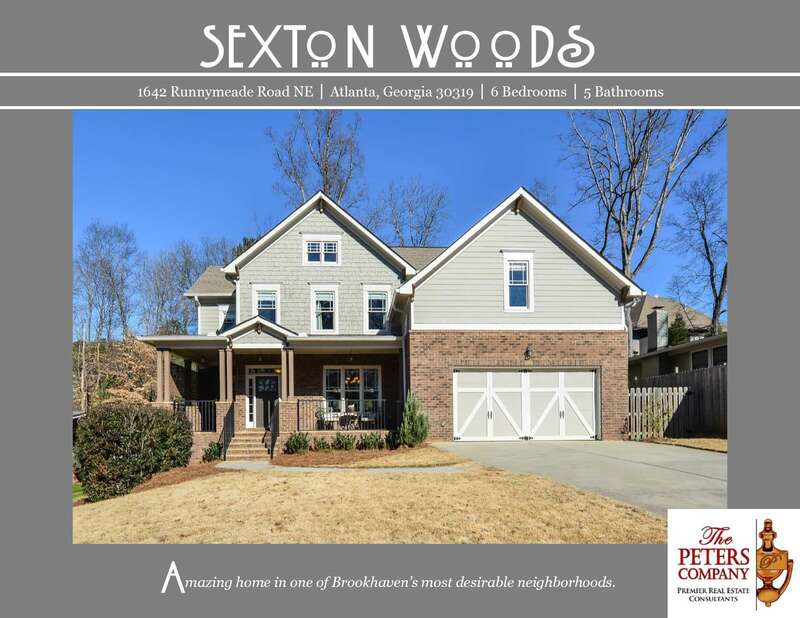 Nestled in the popular Sexton Woods neighborhood of Brookhaven, this stunning home has it all. The flowing floor plan, custom features, and charming character will never go out of style. The close proximity to Ashford Dunwoody Road, I-285, and GA400 makes this home convenient to and from any direction. Being in the booming city of Brookhaven means you can enjoy nearby hot spots like Town Brookhaven, Village Place Brookhaven, and the newly renovated YMCA! Outdoor enthusiasts will love being just around the corner from Blackburn Park and only minutes from Murphey Candler Park! It’s also located in a highly sought after school district which includes Montgomery Elementary! Gorgeous trim detail and extra tall ceilings are carried throughout the home. Light and bright kitchen features granite counters, breakfast bar, stainless steel appliances, pantry, and breakfast area. Spacious family room boasts beautiful built-ins and a cozy gas starter fireplace. A keeping room off of the kitchen is ideal for a playroom or home office. A main level bedroom and full bathroom are perfect for guests. Master suite is a true retreat including a trey ceiling, sitting area, and huge walk-in closet . Spa-like master bathroom has double vanities, jetted tub, and separate walk-in shower. Full finished basement includes an entertaining space, bedroom/playroom, craft room, full bathroom, and additional storage space. Two decks overlook the fully fenced backyard and provide wonderful outdoor space. ← Just Listed :: Lilburn Home with Rocking Chair Front Porch!